I know that the Completement Formulas have a lot to offer but there are some people who say they have gained weight on the formulas. Here is what is happening because I know it has happened to me. 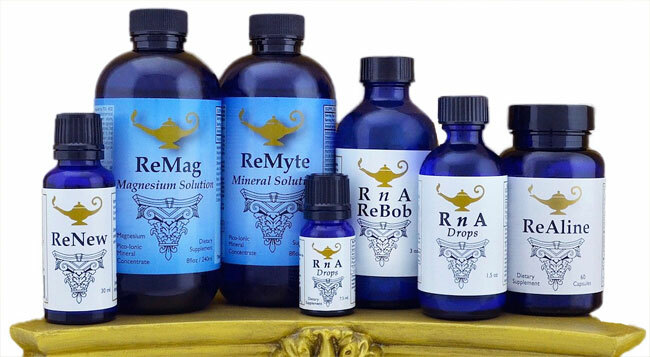 ReMag and ReMyte are 100% absorbed at the cellular level and affect thousands of enzyme systems including the metabolism of protein, fats and carbohydrates. Add ReAline to the mix and you clear out the trash and allow the body to function even more efficiently. Then with the magic of RnA Drops you make clean, perfect copies of your new cells and further clean up toxins and radiation. Do you realize what this means? Do I hear a drum roll? The Completement Formulas allow you to absorb and utilize the food you eat so effectively and efficiently THAT YOU DON’T NEED TO EAT AS MUCH AS YOU USED TO. I know this because I love the food here in Maui and I love to eat – and I can gain a few pounds if I keep eating beyond my need for sustenance. On the Completement Formulas, I only need to eat about ½ the amount I used to eat. Some may say that as you grow older you need to eat less – but that’s based on the elderly being more sedentary and using less calories. Along with needing less food, I’m exercising more – about 3 hrs a day, so I’m definitely using more calories not less. 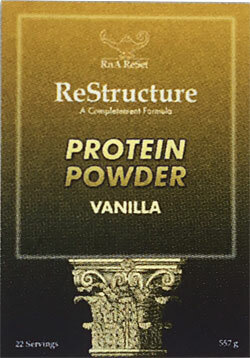 My weight loss recommendation includes the Completement Formulas and I will soon add my meal replacement product, ReStructure to the mix. Your diet would consist of one or two servings of ReStructure a day and one large salad with a side of protein and additional healthy fats – macadamia nut pate (as a mayonnaise for mixing with tuna, salmon or chicken), avocado and olive oil/vinegar salad dressing. The whole program saves both time and money! Exercise is crucial for weight loss – but to have the energy to exercise you have to take ReMag! Walking and swimming may not be enough – to “trim the torso” and “lose inches”, I do T-Tapp exercises using my friend Teresa Tapp’s exercise DVDs.